Attention: Association Cristovao Colon is in great need of your donations to continue supporting Manuel Rosa’s work. We are a non-profit organization. Please visit our webpage today to donate. A Portuguese-American who emigrated from the Azores to the Boston area in 1973, Mr. Rosa received the Boston Globe’s Art Merit Award in 1976, the Lockheed Martin Lightning Award in 2002, and the American Institute of Polish Culture’s Special Recognition Award in 2015. 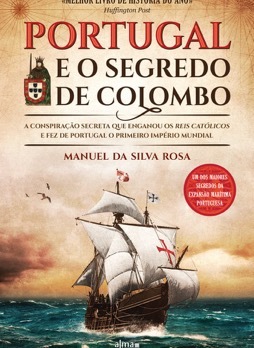 Now regarded as the world&apos;s foremost authority on Columbus, Rosa&apos;s own "voyage of discovery" began during the Columbus quincentennial, when his doubts were stirred by the marriage of a lowly foreigner to a highborn Portuguese lady. Such a union might pass muster as a fairy tale today, but it would have been unthinkable back then. The closer Rosa looked, the more certain he became that he was on to something, and before long he was spending all of his free time on research. Rosa has spent over a quarter century investigating America&apos;s legendary "discoverer." 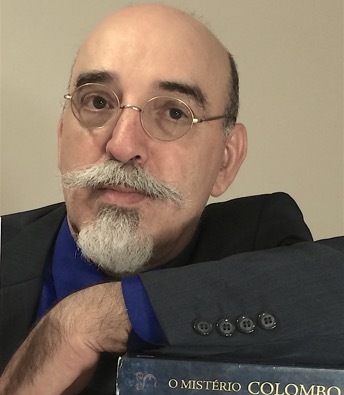 He has authored six books on Columbus and has appeared on BBC, NPR, the Travel Channel&apos;s "Expedition Unknown," and numerous foreign-language media. His work was featured on the cover of Newsweek’s Polish subsidiary in 2011. Another nutty conspiracy theory!! That’s what I first supposed. I now believe Columbus is guilty of a huge fraud. - Prof. James T. McDonough, Jr.
2017 MediaTravel Columbus Awards in Lodz, Poland, on October 28, 2017 in honor of 26 years of research into Columbus’ life. the books that are changing history, as you knew it!